Set in the heart of the historic market town of Alnwick, The White Swan is a charming 300 year old coaching inn that blends its unique heritage with superb accommodation. Best known for its Olympic Dining Room, you can enjoy dinner surrounded by the magnificent panelling, mirrors and stained glass windows from the First Class Lounge of Titanic's sister ship, RMS Olympic. The White Swan also famously houses the grand staircase from RMS Olympic with its stunning gilt iron work. The White Swan has 55 bedrooms, from Classic twins and doubles, to superior doubles, suites, family rooms and a fabulously luxurious four poster suite. All rooms have TVs with Freeview, direct dial phones, a work desk and free WiFi. All our bathrooms have baths and/or showers, and complimentary toiletries. Here’s How: Take the B6346 in the direction of Newcastle before joining the B1340 towards Denwick. Continue through the village of Denwick, turn right onto the B1339 sign posted Howick, you will pick up the brown signs for Howick Hall. Here’s How: Join the B1339 continue to follow this to the roundabout. At the roundabout take the first exit onto Lesbury Road / A1068. Continue on this road, the castle will be on your right. Enjoy an afternoon at Warkworth Castle and see how the powerful Dukes of Northumberland, the Percy family lived. Explore the floors and rooms in the magnificent cross-shaped keep which was once home to 'Harry Hotspur', immortalised as a rebel lord by Shakespeare, and bane of Scottish raiders. See spectacular river and coastal views from the castle walls. Turn left out of the castle onto the A1068 continue on this road to the roundabout. At the roundabout take the first exit to continue on the A1068. At the next roundabout continue straight onto the B6346. 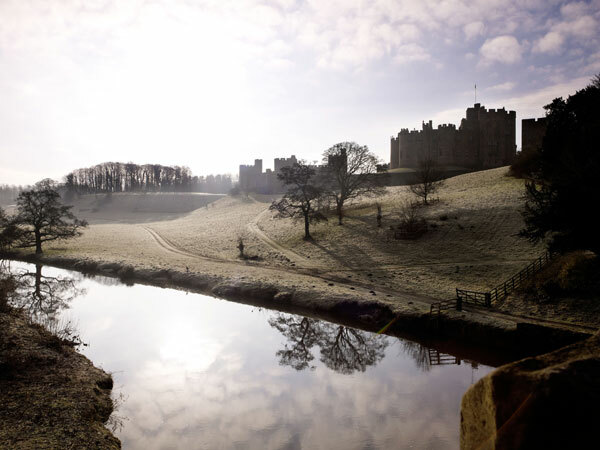 No traveling necessary, the entrance to Alnwick Castle and Alnwick Gardens is within walking distance of the hotel. Alnwick Castle is the one of the largest inhabited castles in England; it has been home to the Duke of Northumberland’s family, the Percys, for over 700 years. Combining magnificent medieval architecture with spectacular Italianate State Rooms, Alnwick Castle is one of the UK’s most significant heritage destinations. In recent years, it has taken starring roles in a number of film and television productions, most famously featuring as Hogwarts School of Witchcraft and Wizardry in the Harry Potter films and as Brancaster Castle in ITV’s Downton Abbey. Alnwick’s State Rooms boast one of the finest private art collections in the country, including paintings by Canaletto, Titian, Van Dyck, Turner, and Dobson, while the Drawing Room is home to the priceless Cucci cabinets, originally created for King Louis XIV of France. Here’s How: On foot – just around the corner! Set in the heart of the historic market town of Alnwick and only a stone's throw from Alnwick Castle and Gardens, The White Swan is a charming 300 year old coaching inn that blends its unique heritage with superb accommodation. Best known for its Olympic Dining Room, you can enjoy dinner surrounded by the magnificent panelling, mirrors and stained glass windows from the First Class Lounge of Titanic's sister ship, RMS Olympic. The White Swan also famously houses the grand staircase from RMS Olympic with its stunning gilt iron work. The White Swan also houses Hardy's Bistro which is open daily to resident and non residents guests. Hardy's is a more contemporary informal bistro serving a seasonal menu, afternoon tea and refreshment. Hot drinks and ice cream also available to take away. Breakfast is available to non resident guests also served in Hardy's. The White Swan is perfectly located to explore Northumberland or as a stopover en route to Scotland. Alnwick Castle and Gardens are within walking distance and you are ideally located to explore the magnificent coasts and castles of Northumberland. Be king or queen for the day in this mighty Northumberland fortress crowning the hilltop above the River Coquet.